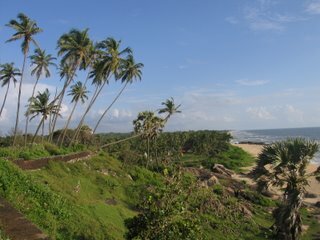 Bangalore to Mangalore - A Roller Coaster Ride. I assured Mahesh that we will get tickets to Mangalore in KSRTC buses, at that early hour of dawn, very easily. It’s only after reaching there at 6:20AM, we were shocked to see all the Raja Hamsa (Deluxe Buses) full with people who had reserved tickets much earlier. I should not have forgotten that it was Dasara festival time, and people who could not make a trip previous night, would be also brave enough to travel in the first bus next morning, like us. Some one told me that we could try the semi deluxe buses, for which we needed no reservations. Luckily for us, we happened to find two seats in a bus. Both the driver and the conductor were kind enough to locate some seats for us. So there began our ride. 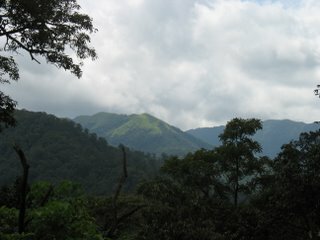 The journey was very tiresome, especially near the Shiradi Ghats, where the road condition is pathetic. One or two traffic jams and blocks delayed the trip further. Of course it’s always a treat to drive through hills and forest. So we both enjoyed the wonderful scenery along the way but had the roads been perfect, the journey would have been less tiring and less bumpy. The Traffic Jam In the Shiradi Ghat Did Do something Good Too! We reached Mangalore at 4:30 PM, after a much horrible stretch of road from BC Road. Straight away we walked into Pabbas ice cream parlor and treated ourselves with some cool ice-cream, definitely made for Mangalore weather and such pathetic road trips. Reached Surathkal at around 6:00PM. Missed mother again (She is in the US with my sister Anu). Sadiq Who had been our driver for several years, came home to visit. It was nice talking to him after a long time. We got food from the mess and had a good dinner. At 8:30 PM we left to the beach. Met my friend, H on our way. H & I took Mahesh to our Private beach. (Well the one that we usually go to, always less crowded, unknown to tourists) We walked on the beach for a while, enjoying the breeze and the sound of waves that always is a serene music to my ears. 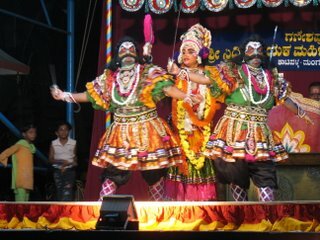 After a small walk, Mahesh and I went to watch yakshagana (Folk dance of Karnataka). In two of the temples near my house, Yakshagana performance is conducted during all nine days of the festival. As kids all nine days were a treat to me and my cousins. When ever I go there, I recall memories from childhood, so many to haunt me; so many to make me smile, laugh and even miss them so badly. I bored Mahesh with some of the stories. A Fight Sequence Between Godess Durga And Demons, Chanda And Munda. It was a nice performance by a set of girls. After the yakshagana, we were too tired from the long tiring day so we returned home and collapsed on to bed. 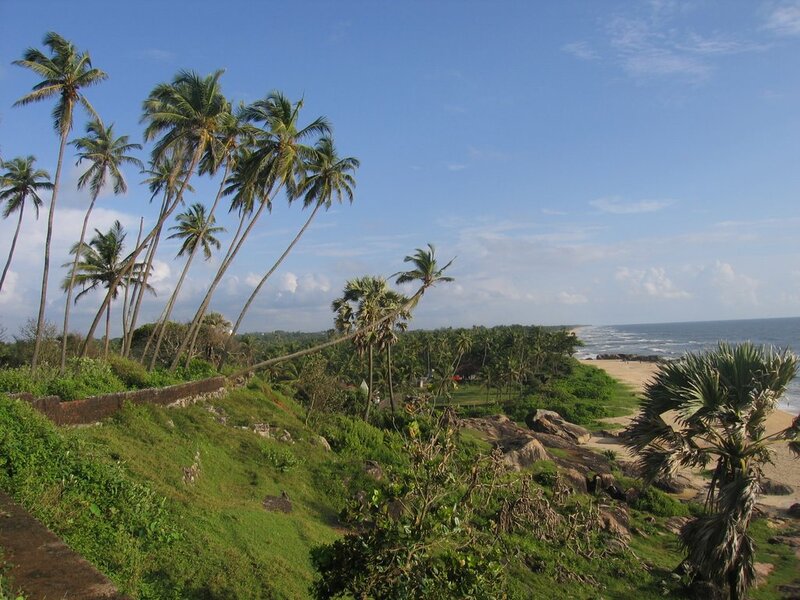 In spite of the bad road trip, Mahesh loved Mangalore; the greenery; the tiled roofs; houses with large front yards filled with coconut groves and all sorts of trees and flowering plants; the beaches of course. And as a host I was glad that he did. Got up early and got ready. We had to meet my friend J near Mulki at 8:30 AM. But we got late by an hour, then all three of us took a bus to Udupi. Of course we both had many stories about Mangalore to be told to Mahesh. My college, buses in Mangalore, how dangerous driving is here and about the weather. We met another friend V at Udupi. After a light breakfast, all three of us took a bus to Malpe. Malpe is about 3 KM from Udupi. We got down at Malpe harbor which was filled with fishing boats and then we walked to the place from where we can catch a ferry to St. Mary’s island. This place was crowded with tourists as it was a Sunday. Normally they run boats to the island only till noon, but probably looking at the crowd they alter it slightly. The ferry tickets are RS 70 per head for a round trip. Thanks to my cousin A and my friend Vasu for providing me with all the necessary information regarding the place and necessities during our trip like water and food, because you will not find a single shop in the island. Probably that is why it is so beautiful, so untouched by human greed and if there is any bit of impurity there then it’s because of us throwing plastics, bottles and what not. The ferry trip was for about 45 mins. Loud music was played to entertain the already enthusiastic crowd, even more. 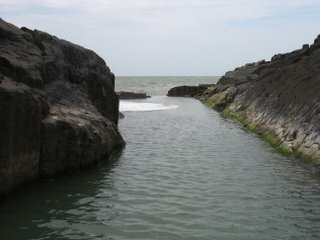 I bet this is a perfect one day trip if you visit Mangalore. 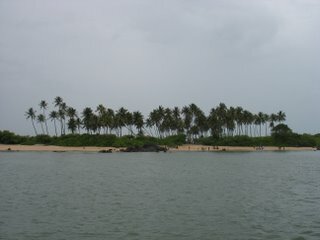 We passed by few untouched, beautiful islands starring at us blankly as it would to any tourists. We had to switch to another small boat few yards from the shore as the jetty would not be able to go so close to the shore. Altogether the first few minutes of the trip itself, brought us to a feeling of total excitement and we could not wait to explore the island. I felt very bad about the fact that living so close to this place, I had not been to the island before in the past 26 years. 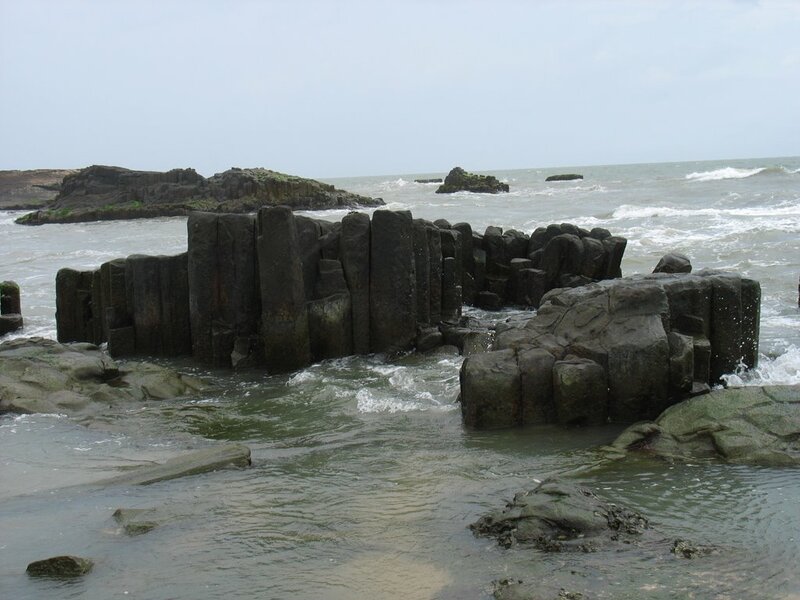 Plenty of coconut trees, awesome columnar rocks, heap of shells everywhere and of course the waves kissing the shore welcomed us to the island. Probably these pictures shall explain it better than the words. After enjoying the beauty of silence in midst of the roaring waves and wind, we took the ferry back to Malpe. This trip will always be a memorable one for me for so many reasons and the impression that the island left in me will provoke me to visit it again and again. We returned back to Udupi, had a good food in hotel Diana and then returned back home. 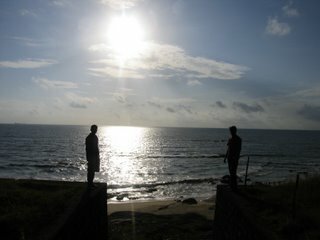 That evening, I took Mahesh to Mangalore, to his uncle’s house. We deserved a good sleep and much ordinary and simple day in the life of Mangalore. So I did not have any plans for this day except for a walk to the light house and beach near my house. Morning I took Mahesh around. 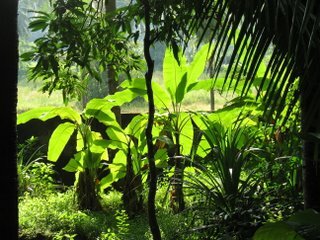 Banana leaves spread wide, shinning bright with the sunlight; tamarind tree with its tiny leaves covering yet uncovering as though playing with the sunshine; variety of flowers, just beginning to wake up after a good rainy season; peacocks & peahens crying aloud. We tried to spot some peacocks, but they were probably hiding somewhere behind the bushes, midst the fields. During Dasara, in Mangalore many people dress up as tigers, lions, or some characters from Mahbhratha or Ramyana or simply as a skeleton or ghost and they walk to every house and perform. As kids we would run behind them and follow them to every other house. And this time, I was lucky to see a few come to our house during my last two visits. 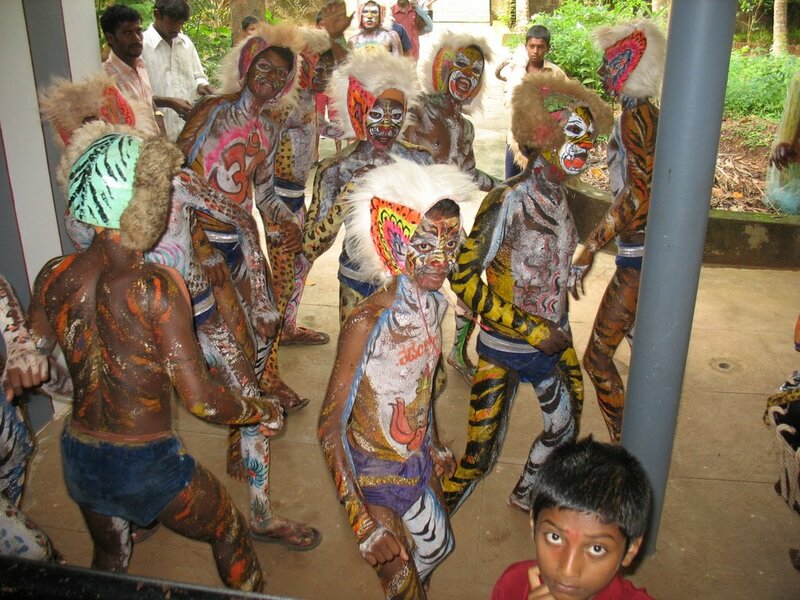 A group of people dressed like tiger stopped by our house to perform a Mangalore special tiger dance. Evening at about 4:00PM, we walked to our village temple “Sadashiva Devastana”. I always love going to this temple, it’s on top of a small hill and the rear door opens up to beach in the west and gives you the best view of the sea. We had some nice time taking good pictures. Climbing up to the lighthouse was not allowed that day since it was a national holiday. But otherwise, the light house is open for visitors from 5-6 PM everyday. We then had a nice walk on the beach, captured many moments in our camera. Sat on a rock and loved the play of colors on the evening sky. The mixing of colors always fascinates me, they mix with each other and then suddenly you are left with one dull color, grey. Sitting by the rock, with waves splashing on it as hard as it can is the best treat for me during the evenings. One could sit there alone or with a company without speaking a word and then walk away with a feeling of having spoken so much. 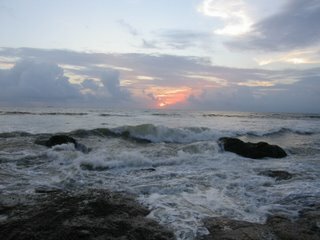 The sound of waves; the mixing colors on sky; sun turning softer and softer and wind blowing crazily yet so rhythmic. Every trip to the beach is special for me; I can sit there silently for however long and come back with a feeling of having learnt another big lesson about life. It fills me with lot of confidence and zeal for life. This walk was special as well. My thoughts drift from one to other and this time I spoke them out to bore Mahesh. :-) I have noticed very often that when ever we walk or spend an evening in beach we open up very easily, we begin to express ourselves in a much better way; I have seen this happen to me and also my friends. No wonder most of my poems and story concepts have evolved while I was in beach. Beauty In This Wildness, Silence In This Roar. The weekend was over; it was end of a nice trip back home. After dinner we walked to Surathkal, on the way we also saw a procession on Sharada Utsav, with lot of performers again dancing and enjoying the night. I never miss my trip to Mangalore during Dasara festival, because it’s the best time for me to recollect all those fun filled old days and experience all that fun again. 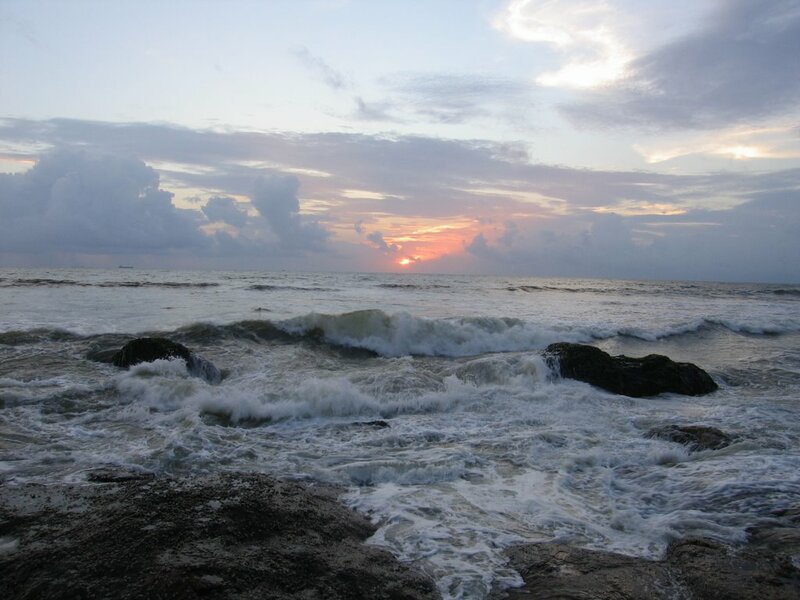 Surathkal is lively as never, during this time of the year. Being a host, I have enjoyed every bit of this trip, because it gave me an opportunity to identify so many new things about my own hometown, our culture, people and life here. It has given me an opportunity to appreciate the beauty of my own place through the eyes of another. It has allowed me to explore my hometown even further and refresh my memories, the past and bore the visitor with those stories. :-) And as for Mahesh, I bet he loved Mangalore. Isn’t it Mahesh? Nice to see you back buddy!!! And when you write about Mlore, you take me there without tickets. 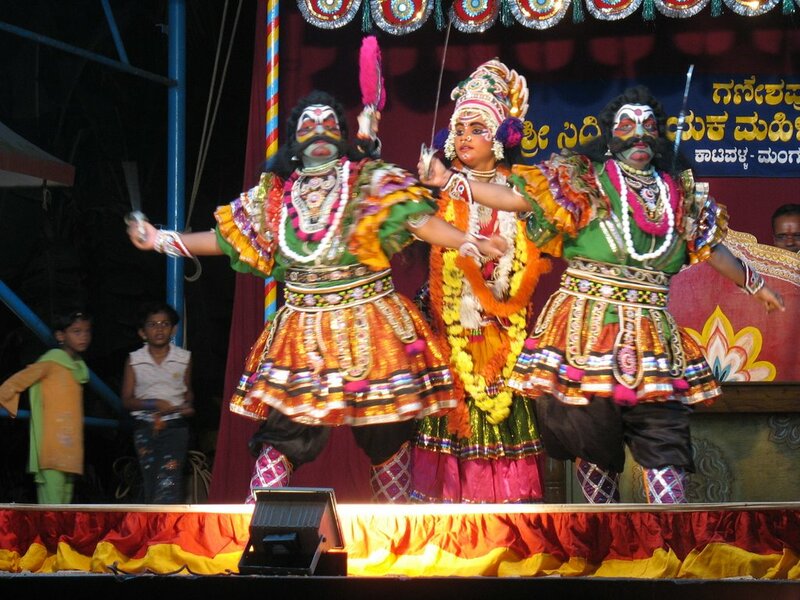 I have never watched full yakshagana, I like to shout like them, but it gets me bored. Lovely account. The photo around your house is so green, it is beautiful. Mmm... you only mostly talked about the festivities and the crazy hrs your have to wake up around for. How about night? Were there much activities at night? Wow! Beautiful account and pictures. I've never been to M'lore. Would love to visit sometime. One of my best friends is from M'lore. i liked the way you have spread the content! good one. keep going!! @Mridula - Thanks, Yes It is lovely at this time of the year ecspecially. @Edmund - Yes it is. :-) No events during night. Whole post is nice ..i liked the pictures of beach the most ... Near surathkal , there s one more place called mukka ..that s also nice isnt it ? and saint mary s , as u said , you have to go there to enjoy it ..